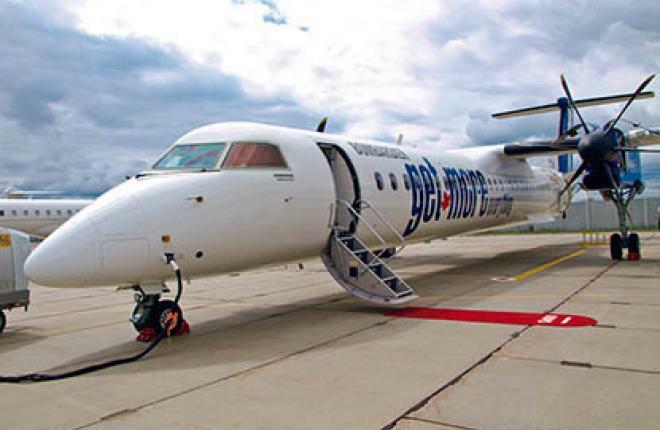 The Russian lessor Ilyushin Finance Co (IFC) is looking at opportunities to enter the regional turboprop segment. Among its possible partners are Bombardier, ATR, and also manufacturers of smaller aircraft. The Saratov-based carrier Saravia has already announced its intention to lease three Bombardier Q400s from IFC; the type was issued a Russian certificate in early June 2012. The demand for foreign-made regional aircraft is growing in Russia, but the technical requirements differ from region to region. According to an IFC-led study, there are 11 airlines offering regional services in European Russia, all the 36 airports of the region are equipped with concrete runways, and typical sector lengths vary between 200 and 800 km. In this situation the best option would be an ATR-72 or a Bombardier Q400. The situation in Siberia and the Far East is totally different: this huge area is served by not more than 18 airlines; 43% of the local 119 airports have unpaved runways, and typical sector lengths lie between 400 and 3,000 km. The ATR-72 range may prove too short for this particular market; apart from the Q400, it would be best served by Antonov An-140 turboprops and An-148 jetliners. In other words, there is no universal, one-size-fits-all regional airframe. On the whole, IFC believes the Russian regional market will require about 200 airliners through to the year 2030.